Hope the start of 2018 is going well for everyone. We just wanted to give a quick update on our Buildbox software development. We released the Buildbox 2.3.2 update on Friday, January 19th. With the coming 2.3.3 update, we are continuing to keep our focus on stability. A big part of that process is improving the crash reporting tool. As many of you know, we already have tools that let you report crashes to us, but we believe a next crucial step is to have the reports be sent to us automatically. We are implementing this change so that we will know more information about any software issues and will be able to react faster and provide better solutions. Lastly, we want to provide a quick update on the development progress of Buildbox 3.0. We are currently working towards the first release of Buildbox 3.0 Alpha, with the official release on schedule for later in 2018. We will be producing a few videos soon showing how to get creative with nodes and how to create your first 3D video game. In the videos, we will cover not only the codeless side of Buildbox 3.0 but also general concepts of game development. We are excited to see what you all create this year. 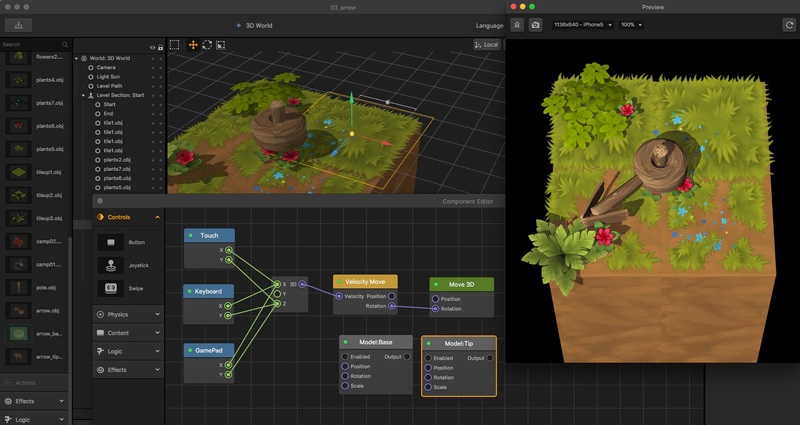 We can’t wait to release a whole new array of game development tools and see you all dive into Buildbox 3.0. Thanks for the support everyone, and check back here for development updates on a regular basis. v3.0 looks awesome! Keep up the great work! Thanks for putting together this post on Buildbox Software Development Update .It is a great read. I particularly find your thoughts about Quick Update on Buildbox 2.3.3 interesting. I am new here and i dont know anything about buildbox i even dont know what to do plz plz help me how i work and how i make game my own game and earn. Thanjks a lot for sharing this with aall of us you actually recognize what you are talking approximately! I am really lovijng the theme/design of your blog. I really enjoyed what yoou hadd to say, and more than that, how you presented it. What about the game crash bug? Great to see these Dev Blogs now. Just what we needed to keep us all in the loop. Thanks for this Nik. It would be helpful to setup a section on the Forum also for this stuff to be notified of new posts and/or an RSS feed would be really beneficial as well. Yeahh! Buildbox 3.0 will be awesome! Yes, we are putting heavy focus on documentation and help system in BB3. If you want to mess around with Coding in BB3 you just need to know basics of Java Script language. But this is only if you want go deep and do coding. You still be able to work with nodes (aka components) without coding skills at all . When can we expect the “documentation and help system in BB3”? Aside from the video and 3 bbdoc example files there is nothing. With the new Buildbox update I am unable to export my project to android. It keeps on saying required integer in the version, though I am using integer only. I register for Buildbox but i have no download link.What do i wrong ? Is there a way to purchase Buildbox 3D monthly subscription? Or will there be a way? We do not offer full licenses currently. Subscription offers are the only current options.